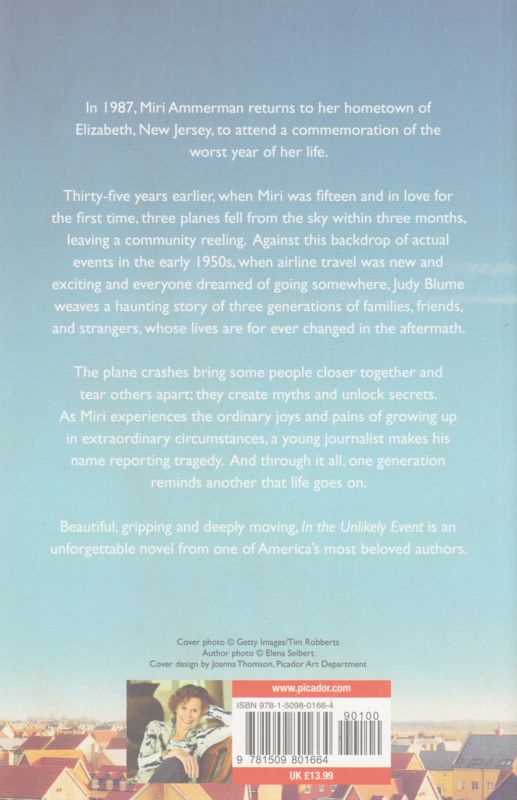 Beautiful, gripping and deeply moving, In the Unlikely Event is an unforgettable novel from Judy Blume, one of America's most beloved authors. She held the baby close, feeling the warmth of his little body, kissing his soft cheek. He looked right into her eyes. Outside the window, the wing broke away from the plane. Then they were falling . . . falling diagonally out of the sky. When three planes crashed in Elizabeth, New Jersey within the space of three months in the early 1950s, Newark airport was closed for a year. Each of these disasters was devastating not only for those on board, but also for the close-knit community of people on the ground. In Elizabeth, the plane crashes open up new wounds and mysteries - they bring some families together and tear others apart. But somehow, life continues - and amid grief and loss, hope and love survive. Inspired by real events, Judy Blume uses her imagination to interweave the stories of three generations of families, friends and strangers whose lives are forever changed in the aftermath. 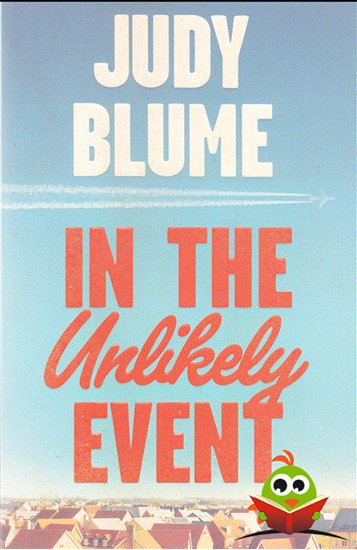 In The Unlikely Event is a captivating, deeply moving and unforgettable novel, written with the same warmth and authenticity that have won the hearts and minds of readers the world over for decades.